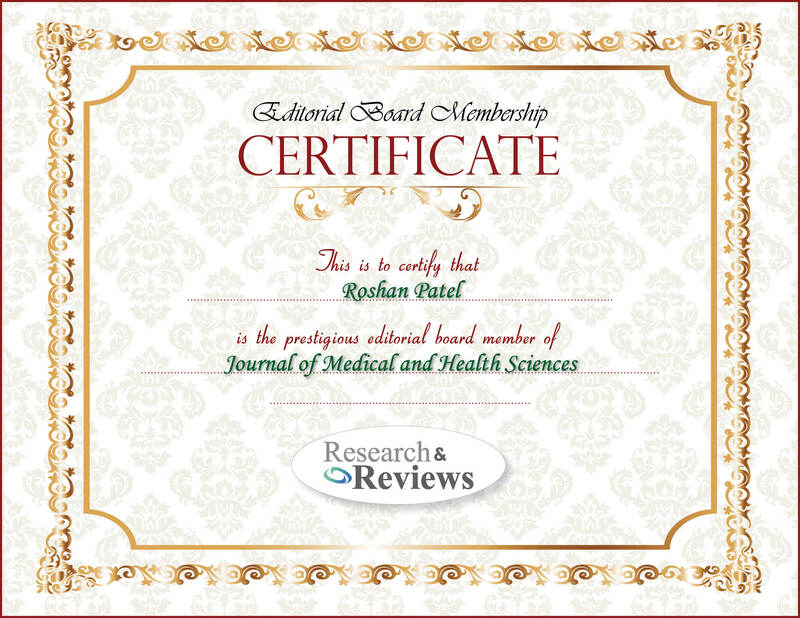 Roshan Patel is an assistant Professor of Internal Medicine at University of Central Florida (UCF) as well as working as Health Intensivist at Health Central Hospital, Orlando, FL since October 2016, earlier he worked as Intensivist at Cape Fear Valley Hospital, NC. He has done MBBS from B.J Medical College, India. He was an Internal Medicine Resident at Wyckoff Heights Medical Center, an academic affiliate of Weill Medical College of Cornell University, NY from July 2009-June 2012, Critical Care Medicine Fellow at Mount Sinai Hospital, Icahn School of Medicine at Mount Sinai, New York, NY (July 2012-June 2013) as well as Nephrology Fellow at Elmhurst Hospital, Icahn School of Medicine at Mount Sinai, Elmhurst, NY (July 2013 – June 2015). He holds medical license for North Carolina, Florida, New Jersey and California. He has various publications and honors. He is member for various societies like Society of Nephrology, Society of Critical Care Medicine, etc.